Daylight is burning more hours and highlighting the new plant catalogs scattered across your desk. It is gray outside, with many months left to fill with drizzling precipitation, cold wind and storms. You cannot wait to get outside and grab a handful of crumbling, dark soil and breathe in its earthy aroma. Your ground is the envy of the neighborhood, built by faithfully adding compost to it over the years. However, digging in the dirt will have to wait. You are stuck inside, making good use of your time — planning your garden. 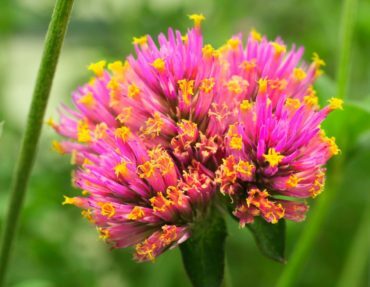 It is an exciting time for avid gardeners ready for the new season’s plant hunt, especially when the coolest new plant introductions are waiting for discovery. You remember those few dull spaces in the garden that could use a new plant or two. Empty containers are waiting on the deck for fresh flowers and incredible foliage. Here are a few unique plants that will have you eager to chase them down, capture and release as trophies into the garden. Keep an eye out for these new introductions at your local nursery this year. This tender perennial is no shrinking violet and would love to live in the hottest part of your garden, where it can take all the heat summers can throw at it. This plant handles the hot, humid weather in the Southeast and must scoff at Northwest’s version of heat. This gomphrena, selected for its tall stature, has exuberant, hot pink flowers that smother the plant. It is a choice plant for the cutting garden because it has tall stems and a long vase life as a fresh flower. Globe amaranths are also used as a dried flower. Other assets include continuous blooms all summer, without the need to deadhead. 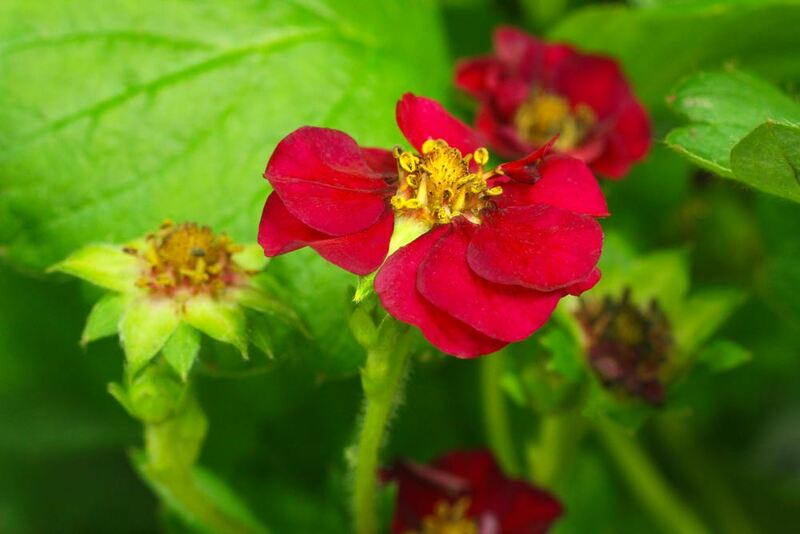 Use it in containers as a single plant, or plant as a filler or thriller for a long season of flowers. Since it is a tender perennial, gomphrenas are grown as annuals in West Sound’s climate or wintered over in the greenhouse. 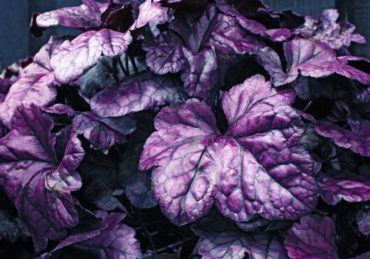 With so many excellent heucheras in the nursery trade, it takes an exceptional cultivar to create fresh excitement. 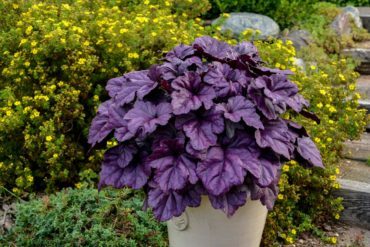 This coral bell is a smoking-hot heart stopper with its large, purple, scalloped, glossy leaves deeply etched with charcoal veins. Its color holds up throughout the year. In early summer when it blooms, Heuchera ‘Wildberry’ sends up dark stems with hummingbird-attracting, rosy-pink calyxes holding white flowers. This is a deer-resistant heuchera, suitable for gardens plagued by the four-legged bandits. The mounding perennial grows 10 inches tall by 16 inches wide. Look for it at your favorite nursery. You can’t miss it. The leaves will grab your heart and make your knees grow weak. You are going to want to make space for these two shrubs. Hibiscus with flowers more substantial than an egotist’s head, it will make you think you’re on an exotic tropical island instead of your backyard. 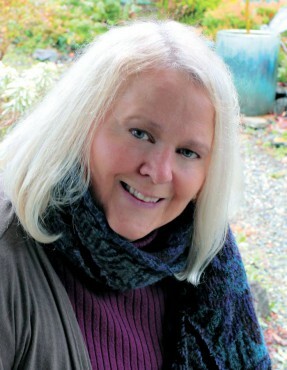 Yet rose mallows are ideally suited for the climate and mostly acidic soil found on the Kitsap Peninsula. Both new cultivars grow 4 feet tall and wide. Grow them in full sun to partial shade. Keep the shrubs well-watered to grow large flowers. For wildlife, both hibiscuses attract hummingbirds and bees, and are deer resistant. The flowering period is long — from midsummer to early fall. 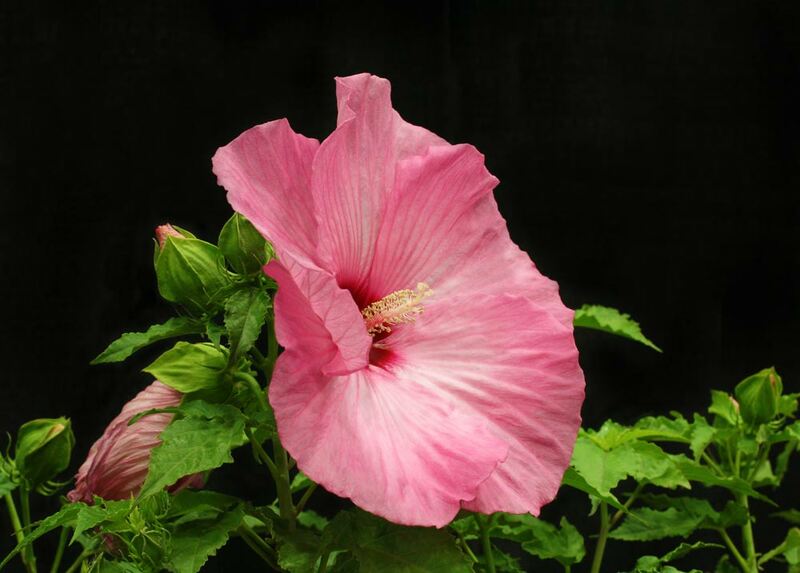 A fitting botanical name for the first shrub is Hibiscus ‘Airbrush Effect.’ The large, 8-inch pink flowers look like an artist airbrushed them with subtle sprays of white down the petals and a deep-burgundy eye in the center — a marvelous effect. 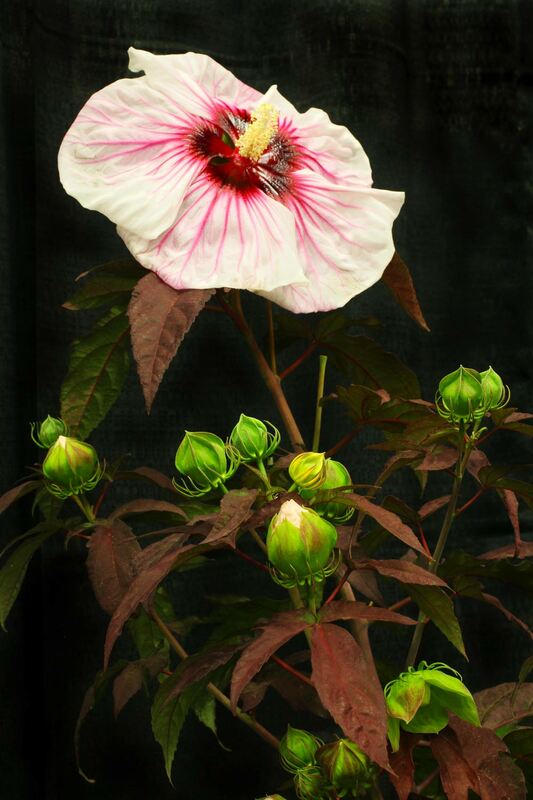 Hibiscus ‘Cherry Choco Latte’ looks as yummy as its name. The bronze-green, chocolate-shaded foliage, indeed, is a standout, yet the large, 8- to 9-inch white flowers with brilliant red veining and sizeable red eye steal the show. Ever-blooming hydrangeas are all the rage, even though many look like the typical mophead hydrangea flowers our grandmothers used to grow, but the newer cultivars bloom on both new and old wood. 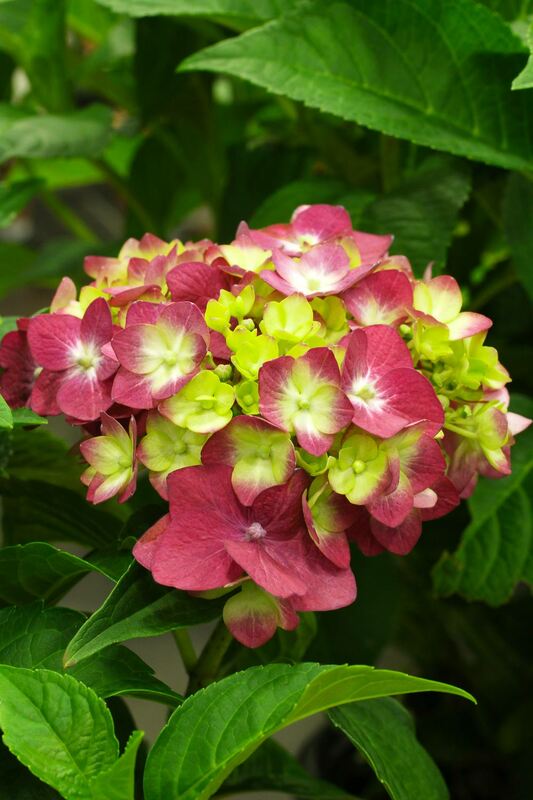 This ever-blooming Hydrangea ‘Bailmacfive’ has stunning, rose-red flowers with green centers that eventually turn entirely red. In typical acidic soil, the flowers will color up in purple hues, unless you lime the soil. Whatever way the soil pH affects the blossom color, it is a worthy specimen in the ground or in a container. The shrub is smaller than most mophead hydrangeas, maxing out to 3 feet tall and wide. Grow this one in full sun to partial shade. What comes to mind when thinking about a holly — Christmas décor from a tall shrub with glossy, evergreen, prickly leaves and red berries? This roly-poly, inkberry holly looks more like a pruned boxwood than what your mind conjures up. 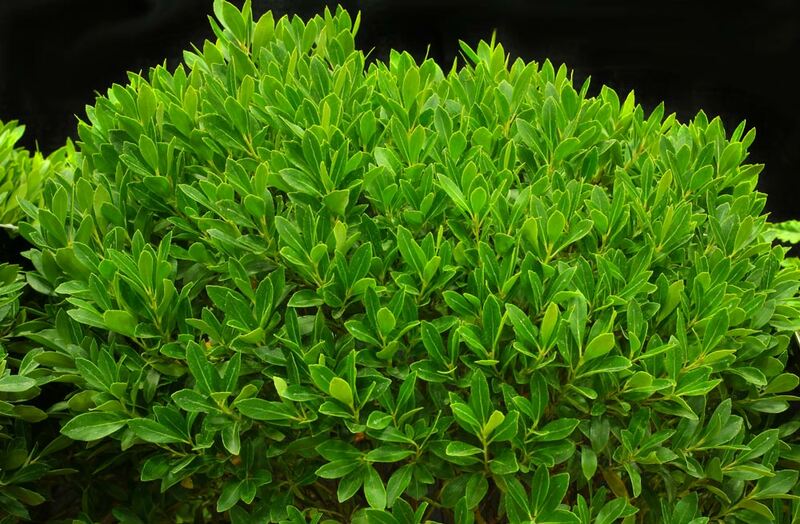 The leaves are evergreen and small, on a compact bush that rarely needs pruning. 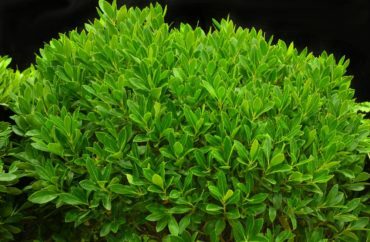 As sn excellent substitute for boxwood, you can grow inkberry as short hedges in a formal garden, or let it stand alone as a compact globe. The shrub takes to container growing — especially useful for winter pots. Inkberry holly is another deer-resistant plant in the lineup. Grow in full sun to partial shade. This newcomer from Proven Winners is outstanding in golden foliage and rich-red veining. Pair this in a container with Cordyline ‘Red Star’ (Red Star Dracaena Palm), a red-flowering Calibrachoa (Million Bells) and Carex elata ‘Aurea’ (Golden Sedge) for a sizzling, hot display in partial shade. 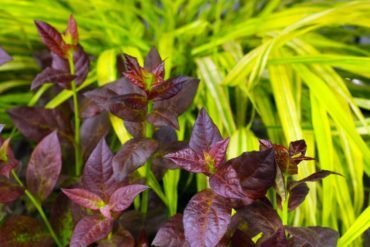 Coleus has had many name changes; it is challenging to keep up. 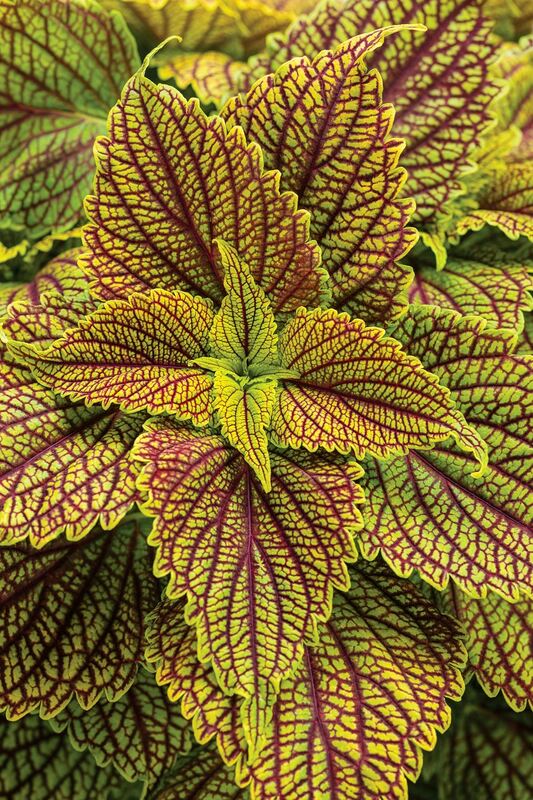 Initially, the genus was Coleus, then the name was changed to Solenostemon, and now it has landed in the genus Plectranthus. 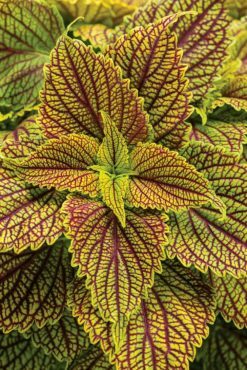 Most people want to hold on to the original Coleus, now considered its common name. You can have your edible plants in containers or ornamental garden, and eat them too! These two new fruits are bound to be favorite plants for the home garden. Blueberries are not only a great home-garden, fruit-producing shrub, but are highly ornamental in the landscape. Briggs Nursery developed this new blueberry bush locally on the Olympic Peninsula. The new foliage starts out with a dark, deep burgundy — the color of cabernet wine. The leaf turns a mottled green as it matures. Like other blueberries, it is perfectly hardy in the Pacific Northwest and a vigorous grower, reaching 4 feet tall by 4 feet wide. The medium-sized berries are tasty and abundant. The dark leaves of this blueberry look great in pots as a single specimen. However, planted with golden foliage, they create a dramatic look for a patio. You can let it live in a container for a few years, then let it migrate into the garden as both an edible and ornamental shrub. This Proven Winners introduction is not only edible; the strawberry is worth its weight in loveliness as an ornamental ground cover. Tuck this ever-bearing, semi-double, red-flowering strawberry into a hanging basket and snack on the tasty berries all season long. As a great filler in a mixed-plant container, you can snack on the fruit while hand watering the plants. The variety grows up to 16 inches tall and 24 inches wide.